When you have a problem with your car you contact a mechanic to look at the car and to make sure that the repairs are done properly. If your dog is sick you take them to a vet because they have the expertise that is needed to treat and potentially save your animals life. You want to make sure that if you have any problems with an appliance in your home you call out a repairman or technician that has the experience that is needed to repair it and save you on time and inconvenience. When it comes to your garage door it is a very large working and moving part and if you start to have problems you want to make sure that you call out someone that has the ability to inspect and repair the problems. 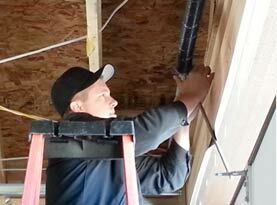 The garage door can be a danger if it is not done right. Can You Replace a Single Garage Door Panel: One of the questions that people tend to ask often is if they can take a panel that has been damaged on their door and replace it. The single panel is part of the door that is usually made up of several panels. If you are able to find the same company that you purchased the panel from you can usually have the single panel replaced. It will then match well with the rest of the door. The problem that people come across is that the door is old or they do not know where it was originally ordered. If you have a panel that is similar but not the same it can be mismatched and will cause the value of the curb appeal to decline. 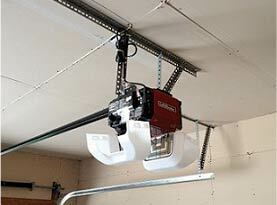 Can You Replace One Garage Door Spring? : Most doors have springs that are part of the mechanics of the unit. The springs are a huge part of the way that the door is able to move. 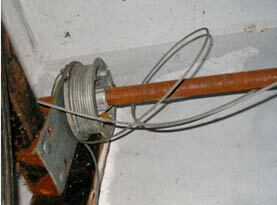 The springs can become damaged or broken and they will need to be replaced. Some people want to only replace the single spring that has been broken and leave the other one. The problem is that you don’t want to have tension that is different between the springs. They should be both replaced at the same time because if one has broken the other is not far behind. Do You Need to Remove Grease & Clean Garage Door Parts: The door has many moving parts and that means that they need to be cleaned and more importantly lubricated. The door has tracks that should be cleared of debris so that the rollers are able to move freely. The front panels of the door should be kept clean to secure the finish of the door so that it is not damaged. You also want to make sure that the sensors are cleared of debris and if there are spider webs or other build up around them it is cleaned away. 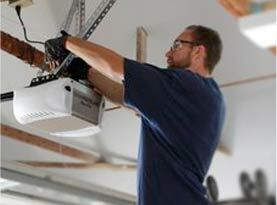 United Garage Door Service Of Henderson can come out to your home and talk you through maintenance and repairs. Call us today!